Arsenal manager Unai Emery gave his immediate reaction to injuries sustained by Aaron Ramsey and Rob Holding following their 2-2 draw with Man Utd on Wednesday night. The Spaniard admitted that Holding is likely out for the long term and with the festive fixture pile-up just starting, Emery described it as 'the worst news for the club'. ​Speaking via ​Football.London, Emery admitted the injury to his English centre-back could be a serious one: "This is the worst news for us today. ​Rob Holding we are going to wait for the doctors, but it is a big injury. It’s his knee. 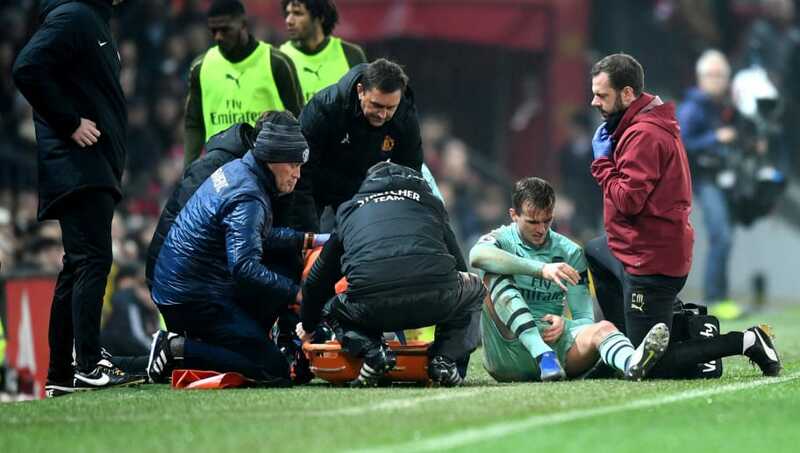 ​Ramsey I think has a small injury." Despite his side suffering two setbacks, Emery was clearly pleased with how his team responded and believes the result away from home will be a 'positive' one. "After these two injuries every player went out with good commitment and good mentality to keep our performance on the game. We couldn’t control the game like we want for the full 90 minutes, but today will give us confidence I think. "This draw is not the best, but not the worst." he added. Any injuries at this stage of the season are seriously damaging, especially to teams like ​Arsenal who have games in Europe as well as the League Cup littered in-between a whole host of Premier League fixtures. Holding was starting to solidify his spot in the Arsenal XI having started ten league games already this season. Emery will hope his injury isn't too bad as it will hugely disrupt his three-at-the-back system which has proved so effective after thrashing ​Tottenham 4-2. The Gunners could also have claimed victory at Old Trafford on Wednesday only for individual errors to gift the Red Devils two early Christmas presents as the spoils were shared.